Thanks to an anonymous donor, the Bright Futures chapter at Cassville R-IV School District has purchased medical first aide kits for all preschool-12 grade classrooms at Cassville Schools. First aid kits include several medical items such as cleanser, antibacterial ointment, scissors and several different types of bandages. Bright Futures, established at Cassville Schools in 2011, is a not-for-profit organization dedicated to bringing community members together to focus on the success of children. 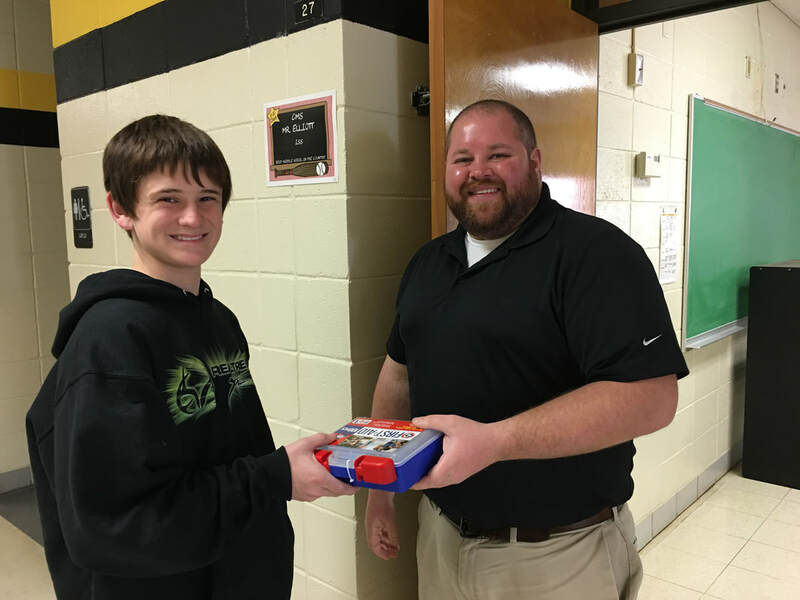 Pictured above, Cassville Middle School student Corey Thomas presents Mr. Mark Elliot with his first aid kit for his classroom.